My Life Next Door follows Samantha Reed who falls for the boy next door who belongs to a family her mother despises. As Samantha gets closer and closer to the family next door, more and more problems begin to arise. This book, in my opinion, is the perfect summer book. If you like Anna and the French Kiss and desperately want to jump back into a similar book I can't recommend this enough. While it arguably is very typical in its plot etc, it executes it perfectly. If you're looking for a nice YA romance to read on holiday that you won't be able to put down, you've found it in this book. I picked it up in Waterstones because I'd heard its title thrown around on booktube and although I didn't know much about it decided to buy it for my holiday. It didn't quite get 5/5 because I did have a few questions at the end, but all in all its a fantastic book and I would definitely recommend it! 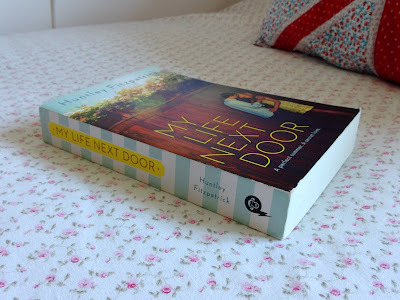 Have you read My Life Next Door? Do you want to? Let me know in the comments!